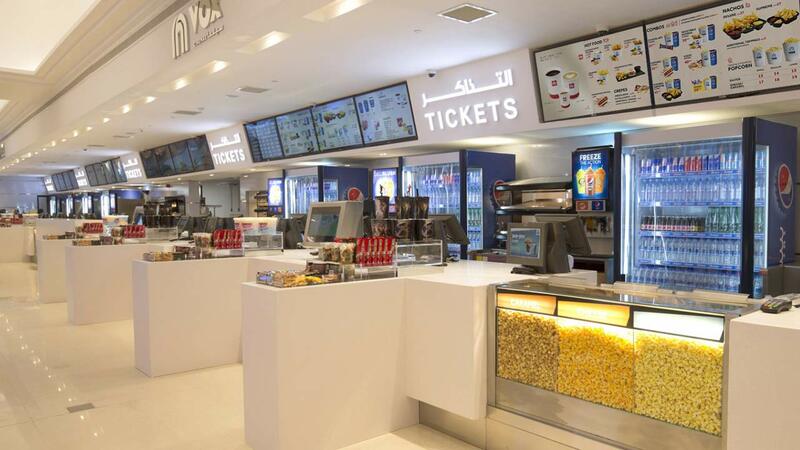 VOX City Centre Deira in Dubai has recently been transformed, now boasting the largest cinema screen in the Middle East and North Africa region. 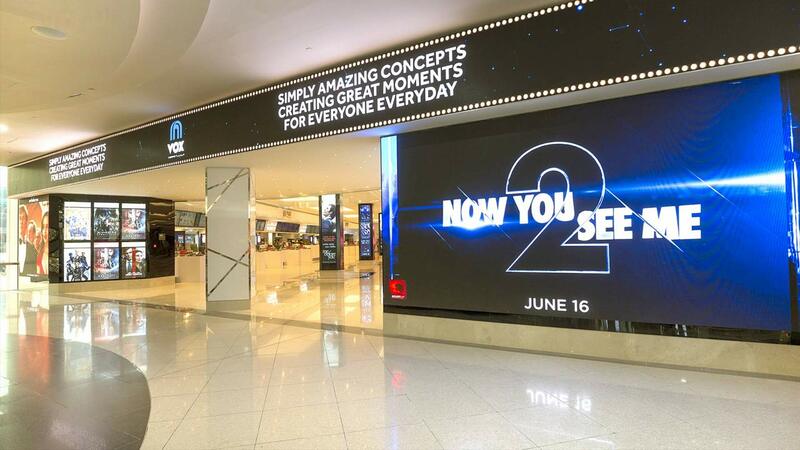 Majid Al Futtaim Cinemas have created four movie concepts across 20 new screens, with the largest being a 550 seat auditorium. 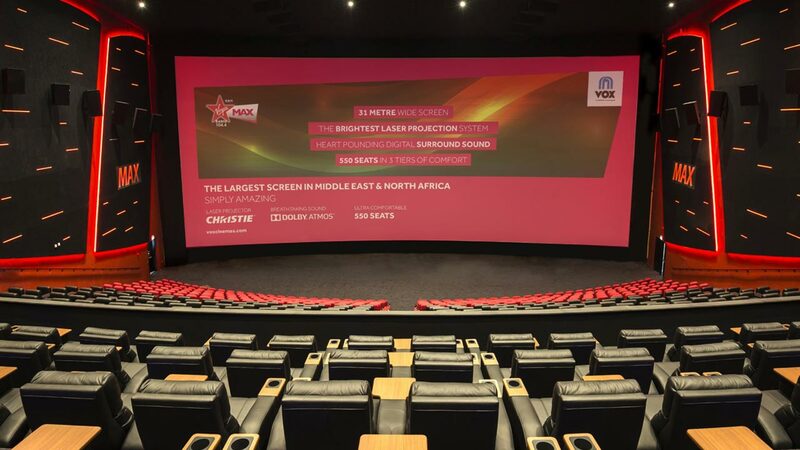 Featuring a 408 square metre screen measuring 31 metres in width, the VOX MAX theatre utilises the latest technology in laser projection systems, Dolby Atmos cinema sound and the largest, most powerful speakers Krix have ever developed. 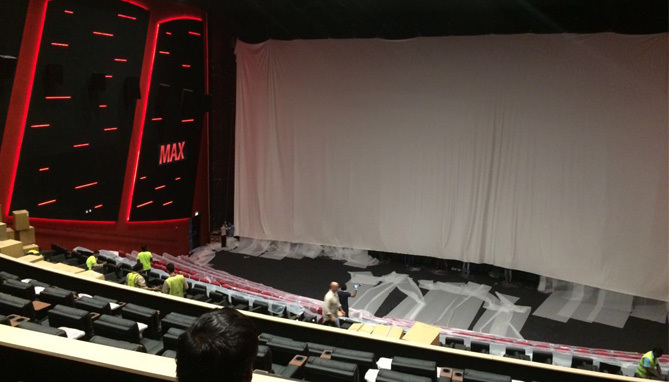 This is the largest screen that Krix speakers have ever been installed to – as your can imagine, the results are simply breathtaking. Reaching the high Dolby Atmos specifications in an auditorium of this size required some rather large and newly developed speaker systems. Our biggest ever screen speaker, the KX-5996, was designed to evenly fill the auditorium with high quality sound. Five were used to deliver a seamless soundstage across the width of the screen. Two of the five KX-5996 screen speakers during installation. 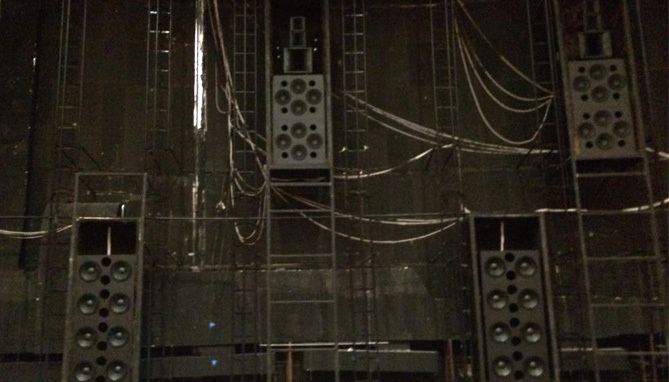 The subwoofer stacks below are KX-4610s (16 total in the auditorium, plus an additional 4 x KX-4290 surround subwoofers). The KX-1155 wedge-shaped surround was also developed specifically for this auditorium. Dual 15″ drivers and a compression driver with Krix horn ensured that SPL requirements were reached at the measurement location two thirds back into the room. The cinema complex also houses four VOX Gold Luxury cinemas, offering a menu inspired by Michelin star chef Gary Rhodes, a la carte waiter services, wall to wall screens, semi reclining armchairs and private lounges to relax and unwind before and after the movie. A separate 4DX cinema simulates rain, wind, thunder, lightning and even scents, while the motion chairs dynamically shift with the action on the screen. 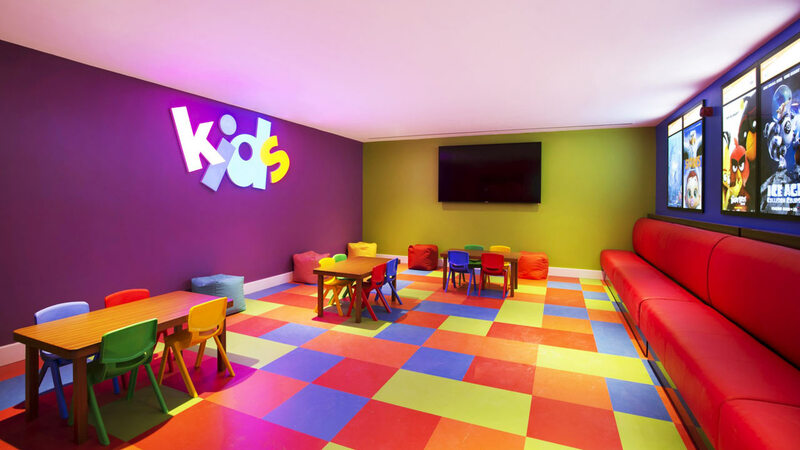 Children haven’t been left out either, with a VOX Kids theatre and party room.